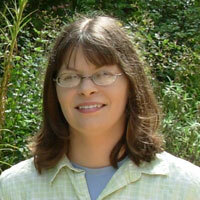 Melissa Gray is a Molecular Biologist/Biochemist with AgBiome. She began her career in industry at Agarigen (later Intrexon) performing mushroom transformations. She then worked at GrassRoots Biotechnology as a Molecular Biologist doing protoplast transformation and cloning. Melissa transitioned to Monsanto with their purchase of GrassRoots. Melissa has an AAS in Biotechnology and BS in Biology. In 2015, she completed her Master of Functional Genomics from NCSU while working full time. She enjoys playing board games, rock climbing, backpacking, and kayaking.